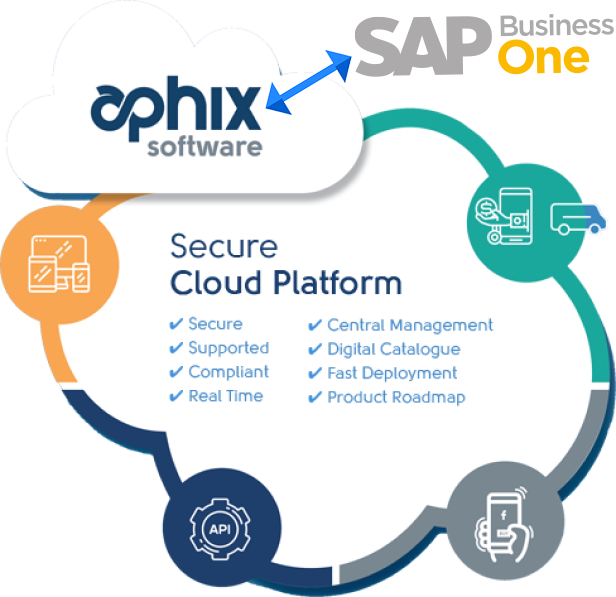 Aphix Software have developed a suite of eCommerce and mobile ordering products, which offer real-time integration to SAP Business One plus connectivity to various digital marketplaces on one secure and robust platform. Trusted by over 150 customers the Aphix Cloud Platform is the world's most flexible digital ordering platform. A truly scalable secure solution which will help you start your digital transformation and grow alongside your business. The Aphix eCommerce Suite helps wholesalers and B2B companies sell online through your own branded WebShop which can be deployed in as little as 21 days. While the Mobile Apps work across devices and allow your field sales team direct access to all the information and processes they need while out of the office to ensure they hit their targets. Trusted by over 150 customers! Call 0114 299 9430 to see how Aphix & SAP Business One can help your company sell smarter, or book a free product demo today!